What use the solitary tear? 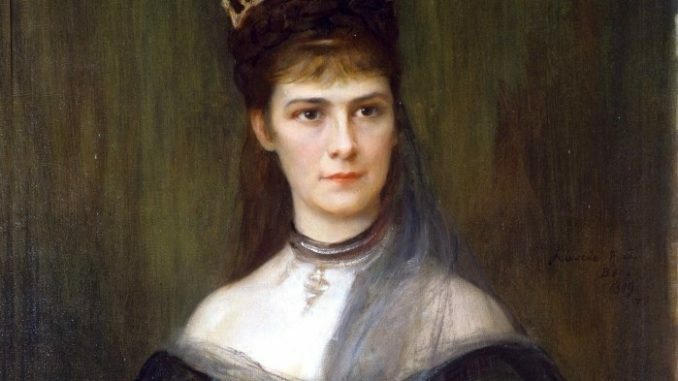 Also in 1883, Elisabeth became a grandmother once more when Crown Prince Rudolf became the father of a daughter, also named Elisabeth, though she was better known by her nickname Erzsi. Erzsi was doted upon by her grandfather, and he even allowed her to tousle his beard and play with his medals. She would remain their only child, most likely due to a venereal disease that Rudolf passed to his wife. Rudolf, like his mother, often spoke of death but nobody was prepared for the tragedy to come. Elisabeth was the first to be informed of the situation on 30 January 1889. She was informed that young Baroness Mary Vetsera, Rudolf’s mistress, had slipped him poison before taking the poison herself. Elisabeth was composed enough to tell her husband the news before bringing Katharina Schratt to him for comfort. It was also Elisabeth who informed Mary’s mother that her child was dead. It wasn’t until the following that they learned how the lovers had really died in a murder-suicide pact. The following morning, Rudolf lay in state in his Hofburg apartments. 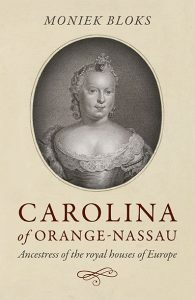 Elisabeth placed all the blame squarely on the shoulders of her daughter-in-law. After his internment, Elisabeth secretly visited the Kapuzinergruft. Marie Valerie wrote, “She disliked the crypt, and she was not at all eager to descend to it, but she had a sense that an inner voice was calling her, and she did it in the hope that Rudolf would appear to her and tell her whether he was unwilling to be buried there.” She continued to seek contact with her son, causing the Viennese society to gossip even more. In May 1890, Elisabeth’s sister Helene died in Regensburg. Elisabeth rushed to be by her side, and Marie Valerie recorded their last conversation. “We two have hard puffs in our lives,” said Mama. “Yes, but we had hearts,” replied Aunt Néné. If Elisabeth longed for death before, it now became even more intense. At the end of 1889, as the official year of mourning came to an end, Elisabeth gave away all her light-coloured dresses and dressed in plain black clothes for the rest of her life. With the marriage of Marie Valerie to Archduke Franz Salvator, Elisabeth felt that she had now lost all her children. Elisabeth now had nothing left at all in Vienna. She travelled the world, never going out without a fan or umbrella to hide her ageing face. She often had no purpose at all, and her behaviour became increasingly odd. She often visited foreign courts without being invited or announced and it often caused embarrassing situations. Once, she was held in the guardroom at Friedrichshof while Empress Frederick had to be roused. She began to take no notice of the weather and went out in storm and rain, much to the despair of her ladies who had to follow. She put herself on starvation diets and complained of every weight gain. Elisabeth was staying in the Territet, just outside Montreux, where she had stayed several times before. She intended to take a cure for four weeks. From here, Elisabeth and Countess Sztaray set on 9 September for an excursion to Pregny. In Pregny, they had lunch with Baroness Julie Rothschild, walked around the park and visited an orchid nursery. Elisabeth was travelling under the pseudonym Countess von Hohenembs. After a three-hour visit, Elisabeth and the Countess continued to Geneva, where they would spend the night before returning to Montreux the next day. In Geneva, Elisabeth visited a pastry shop and bought toys for her grandchildren, before retiring early. The hotel manager was all too aware of his important guest and the following day the newspaper ran the story that the Empress was staying at the Hotel Beau Rivage. It sealed Elisabeth’s faith. Italian anarchist Luigi Lucheni had been preparing himself. He had bought a murder weapon, a file that he had ground to a triangular shape and given a knife edge. However, he intended to kill Prince Philippe, Duke of Orléans, the pretender to the French throne, who had not, as planned, come to Geneva. He also could not afford to travel to Italy for his preferred victim, King Umberto of Italy. He had found his new victim in the newspaper. On 10 September, Luigi began observing the comings and going at the hotel. Elisabeth intended to return to Montreux with the 1.40pm lake steamer, and a servant had already gone ahead with the luggage. Elisabeth emerged from the hotel, accompanied by the Countess, dressed in black. In one hand she carried a parasol and in the other an umbrella. They walked to the landing stage, just a few hundred meters from the hotel. In those few hundred meters, Luigi was lying in wait. He threw himself on the ladies, glanced under the parasol to make certain and stabbed Elisabeth in the heart. Elisabeth fell onto her back. Luigi fled but was captured by a passerby and taken to the police station. Elisabeth got to her feet and dusted off her clothes. She seemed fine. The two ladies continued walking towards the landing stage as Elisabeth asked the Countess what the man had wanted. “Perhaps he wanted to take my watch?”, she asked the Countess.